Snack time gets creative when you follow this Ants on a Log recipe! 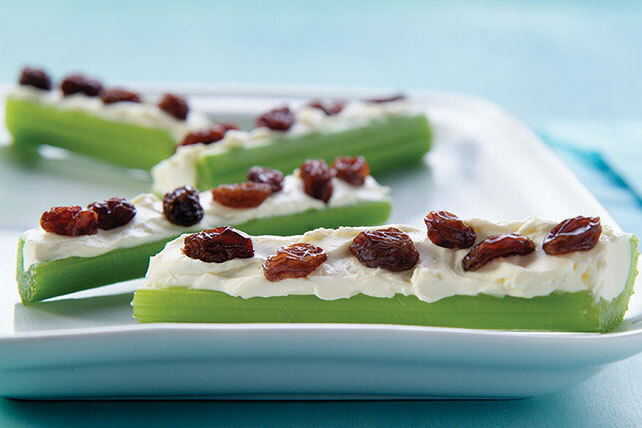 Fill celery with cream cheese and raisins in this classic kid-friendly snack. Fill celery with cream cheese spread.